TORONTO — Travel agents and media were among the first to get a sneak peek of Disney’s brand new ‘Pandora – The World of Avatar’ at an industry event in Toronto yesterday, which included highlight reels of floating mountains, flying banshees and bioluminescent rivers. 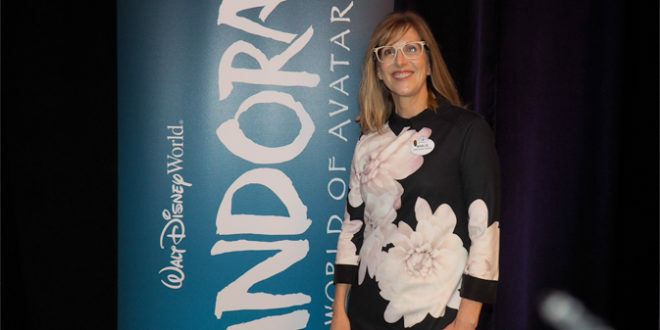 Opening May 27 in Disney’s Animal Kingdom Theme Park, Pandora is the culmination of one of Walt Disney World Resort’s biggest expansions ever, said Marlie Morrison, Managing Director, Marketing and Sales, Canada/Japan/Australia for Disney Destinations International. With the completion of Pandora, Disney’s Animal Kingdom will successfully transform from a day into nighttime theme park with extended entertainment. Morrison also noted that the best part about visiting Walt Disney World Resort this summer is the Canadian Resident Discount Offer, which is available on four-day or longer theme park tickets. With the offer, a four-day ticket will cost US$244 plus tax for Canadians (regularly $370), representing a savings of 34%. Tickets for five days up to 10 days are also available, with savings of 35%. The Canadian Resident Discount Offer has been extended until May 20 and can be combined with Disney’s Summer Expedition Offer, which saves guests up to 25% on rooms at select Disney Resort hotels. This promotion is valid for stays most nights from May 28 through Aug. 31, 2017, and can be booked through July 14, 2017. In addition, Disney recently announced limited-time Pandora Extra Magic Hours every night for Disney Resort hotel guests, which provide extra time at the new attraction. Pandora – The World of Avatar’ arrives about a generation after James Cameron’s box-office hit, ‘Avatar’, which depicts an epic battle between humankind and the Na’vi race. Guests of the themed land will experience movie magic come to life through two main adventures: riding a mountain banshee, during which they’ll soar across Pandora on ‘Avatar Flight of Passage’, and sailing down a sacred river in a glowing rainforest in the ‘Na’vi River Journey’. Guests will also be able to dine at Satu’li Canteen, enjoy beverages at Pongu Pongu and shop for souvenirs, toys and science kits at Windtraders. Bookings for ‘Pandora – The World of Avatar’ are now open.